I previously told you about the Blue Spring Heritage Center on our girls weekend away. The other place I loved visiting was the Turpentine Creek Wildlife Refuge. They provide a lifetime refuge for abandoned, abused, and neglected animals. 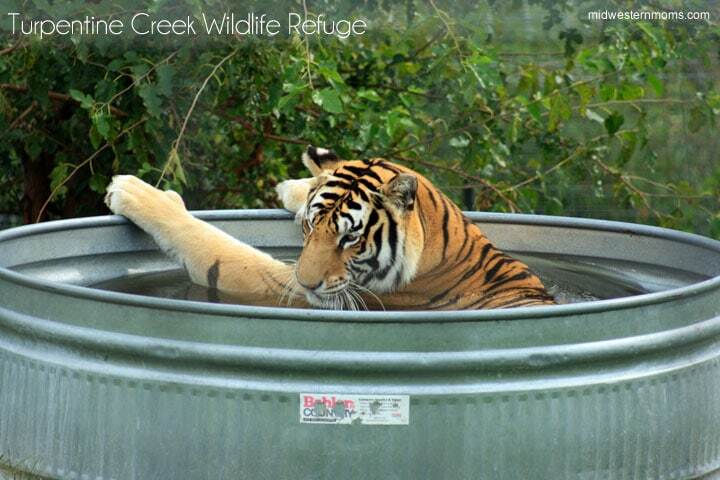 Their emphasis is in Big Cats, but they do have a few other animals as well. We got there later in the day, just after 4 pm. We were too late for a tour, however, we were just in time for feeding time. There was a person that was explaining the whole process that the refuge goes through to get all the animals fed. Each meal is prepared for each animals personal needs. For example, poor Sierra (pictured below) is 19 years old. The first four years of her life, the owners fed her dog food. Dog food does not have what a tiger needs for nutrition. Sierra has scoliosis and her pelvis didn’t develop properly so she has difficulty with passing some things. She is on a boneless diet and she gets supplements in her food. I do want to say that I think it is great that Tyson and the local Walmart stores help out the refuge by donating food. Tyson alone donates 300,000 pounds of food a year! Not only do you learn about how the cats are fed but you get to learn a little bit about each animal. It is interesting to learn their stories and how they came to live at the refuge. If you find yourself in Eureka Springs, Arkansas, make sure you stop by and see these big cats. Don’t forget to follow in Instagram to see where I will end up next. Wow! You got so close to those big cats! I would be a little freaked out! Sounds like an amazing experience, and a great place for the animals. 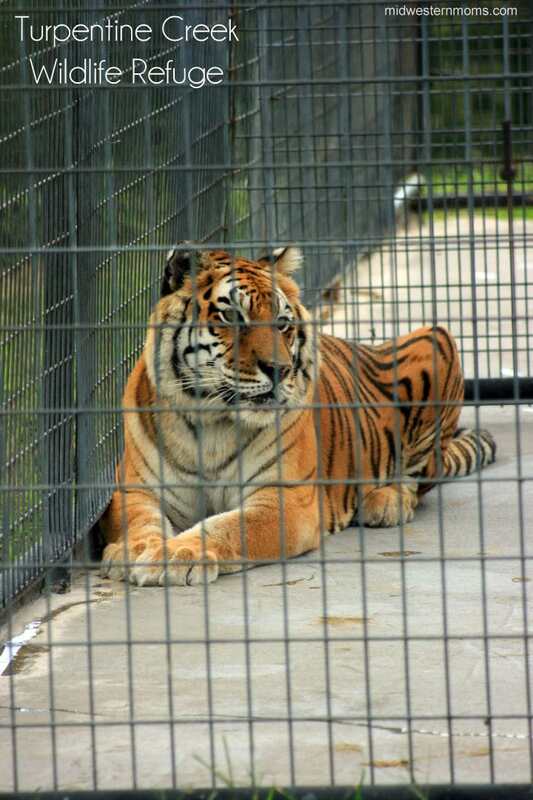 I adore big cats and boy did you get to see them up close! What a humbling look into wildlife and the world around us. 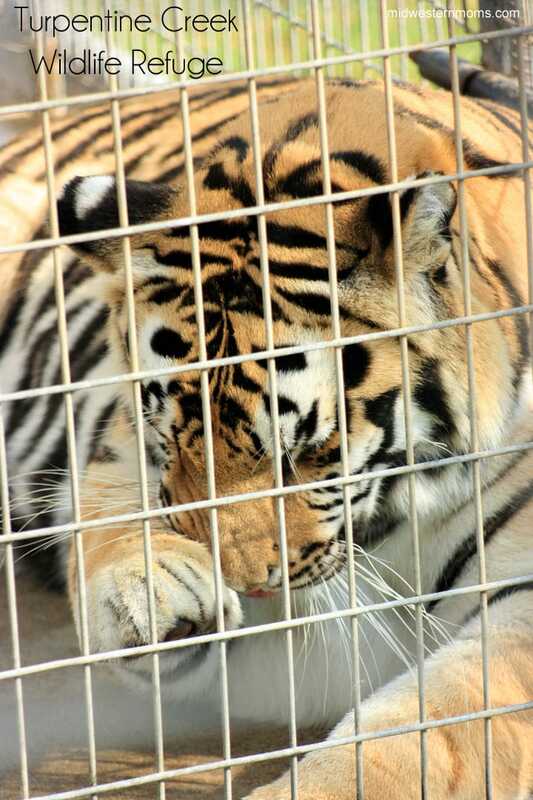 This is a great post and what they are doing is awesome for these big cats but it breaks my heart to think they had to end up in a place like this because of what has happened to them. Poor babies! I am glad they are getting the much needed, proper care they need now.